Joel Barlow students were greeted by an unusual sight when they headed for lunch last Wednesday, April 25. Flanking the door to the cafeteria were two tables festooned with red, white and blue balloons, American flags and a big bowl of candy called—appropriately—Smarties. Large signs urged: Register to Vote. Several times each year the registrars from Easton and Redding visit the high school to offer students who will be 18 by election day in November the opportunity to register on the spot. Last week they were joined by members of the Redding League of Women Voters (who provided the balloons and candy). Redding registrar Joanne Perlman had addressed the League on up-to-date registration requirements at an earlier board meeting so the volunteers were prepared to answer questions and help the students fill out the forms which they then presented to the registrars who, after checking for proper identification, made it official. Registrars present for the event were David Smith from Easton and Joanne Perlman from Redding. Ms. Perlman was joined by Deputy Registrar Laura Hoenig. Mary Ann Carman, Emily d’Aulaire, Janice Meehan, Jean Taylor and Jean Whitham represented the Redding League of Women Voters. 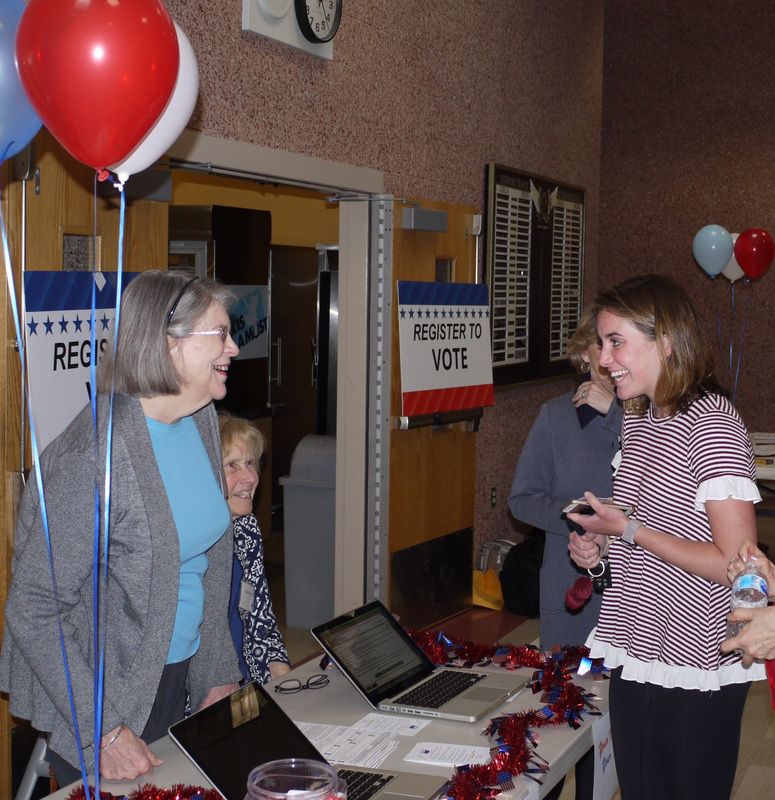 left to right: League of Women Voters board members Jean Whitham and Jean Taylor, and Joel Barlow High School student Mackenzie Wenzel who registered to vote at the event. 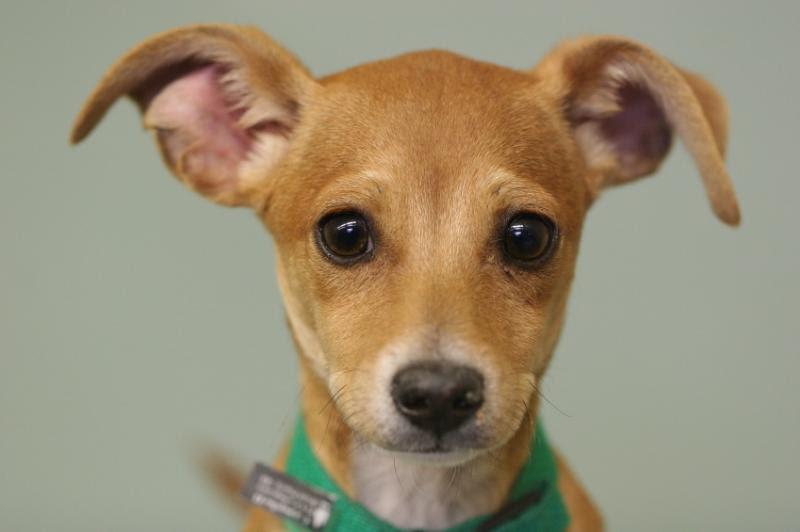 The Mutt Strut is one week from tomorrow, May 5th, 10 AM – 2 PM at three NRVT locations; Norwalk, Wilton & Ridgefield. You KNOW your dog wants to do this. There’ll be Doggy Bandannas, Doggy Goody Bags, Doggy Selfie Stations. And, there’s a great prize for the most creative costume; a free Mobile Spa Grooming from the Canine Company. All proceeds go towards building more of the NRVT. Your dog will thank you. I know we certainly will. Yesterday, the Connecticut House of Representatives passed by a large majority HB 5542: An Act Concerning Bump Stocks and Other Means of Enhancing the Rate of Fire of a Firearm. The purpose of the bill is “to ban the sale or transfer, possession, manufacturing or use of bump stocks or other accessories to increase the rate of fire of a firearm. Bethel’s representatives were split on their votes. Stephen Harding, R-107, supported the bill. Will Duff (R-2) voted against the bill. Redding editor note: State Representative Adam Dunsby voted to PASS this bill.